Once a design professional is engaged, the only way to assure the transition from the “Plans to the Building” is with on-site QA inspections. Proper integration of dissimilar materials in the building envelope is key to preventing future moisture problems. Professional third party QA inspections can confirm the designers intent is carried out in the construction process. Seagate Consulting uses certified inspectors that understand how a building envelope works and have years of experience identifying and preventing future issues by ensuring the building envelope will be properly installed. 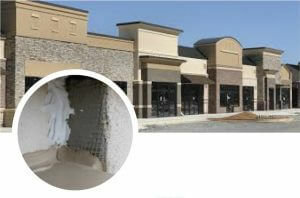 Certified Third Party EIFS Inspector/ Moisture Analyst EDI A premier certification of EIFS industry consultants and professionals as third party inspectors for government agencies, manufacturers, existing inspection services, and code agencies, as well as quality assurance programs for applicators, general contractors, and building owners.